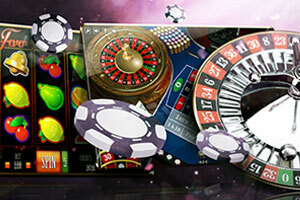 Poker is a game that has always been associated with glamorous live tournaments and massive cash winnings. 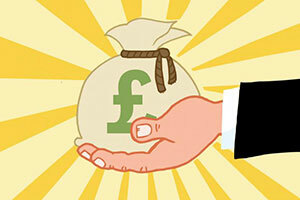 Today, Casino Guardian offers you a list with the ten most profitable tournament poker players and their best seven-digit achievement to date. 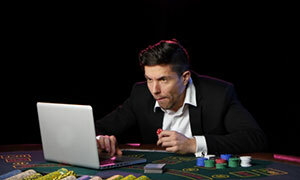 The Canadian professional poker player, who is known for winning six World Series of Poker (WSOP) bracelets and becoming a champion of the World Poker Tour (WPT) twice, is undoubtedly number 1 in the Most Profitable Tournament Poker Players Ranking with all-time winnings estimated to $32,887,949. 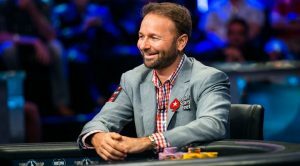 The leadership of Negreanu, who is also known under the nickname Kid Poker, has been going on for a few years now, since he got on the runner-up position in the WSOP Big One For One Drop 2014 tournament. This was also the time when the Canadian managed to generate the largest live cash in his career so far, taking home a prize of $8,288,001. Apart from the massive cash prize portion generated in the above-mentioned tournament event, Negreanu has 5 more big winnings (and by big, we mean as big as at least $1 million) in his career. Back in 2014, he got fourth at the Aussie Millions Poker Championship AU$250,000 NLHT event, getting a prize of $1,119,610. Before that, in April 2013, he got first at the WSOP APAC A$10,000 NLHT event and won $1,087,160. 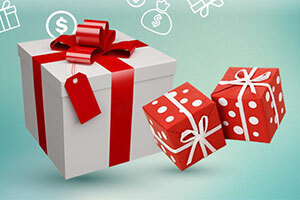 Another big prize, estimated to $1,000,000 was taken by the player in the 2011 PCA, after the Canadian had not managed to generate such a winning in more than half a decade. 2004 was the year when Negreanu generated his first two big wins. First, in September 2004, he got first in the WPT Borgata Poker Open, getting a cash portion of $1,117,400 and then, in December, he won the WPT Five-Diamond World Poker Classic, taking home a prize of $1,770,218. The American poker pro comes second in the ranking of the Most Profitable poker players, having won a total of $31,098,013 in live tournaments over his career. Known for winning the staggering eight World Series of Poker (WSOP) bracelets and a World Poker Tour (WPT) title, he is undoubtedly one of the most successful poker players of all times. Eric Seidel, who is also popular with his nicknames Sly ad Seiborg, was also inducted into the Poker Hall of Fame seven years ago, in 2010. 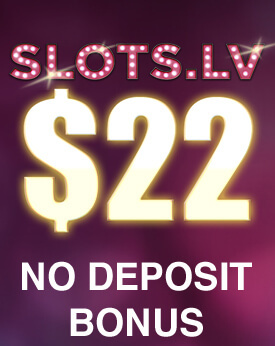 Seidel’s best live cash amounts to $2,472,555. 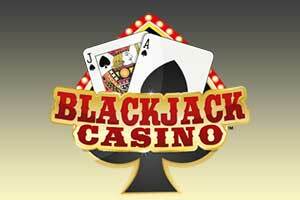 The massive prize was generated by the American in January 2011, with him winning the 2011 edition of the Aussie Millions Poker Championship in Melbourne. Of course, this is not the only seven-digit cash won by Seidel in his career. 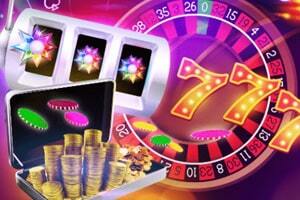 Up to date, he also has three more seven-digit love tournament prizes, and a countless number of six-digit ones. 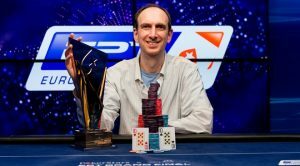 In May 2016, Seidel was close to breaking his record winning of $2,472,555, after ranking on the third position in the Super High Roller Bowl with 888poker cashing in for a prize of $2,400,000. 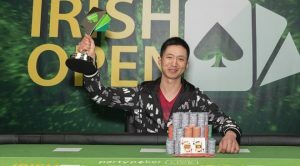 A year earlier, in 2015, he won the €100,000 Buy-in NLH Super High Roller Event at Aria High Roller 9 that took place in Las Vegas on April 30th and took home a guaranteed prize pool portion estimated to $2,222,222. 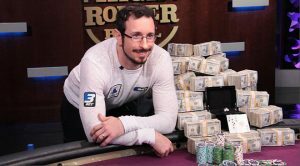 Last, but not least, it was on May 18th 2011 when Seidel managed to generate another massive winning by ranking on top of the $100,000 Buy-in Super High Roller Event of the Ninth Annual Five Star World Poker Classic – one amounting to $1,092,780. Iran-born Antonio “The Magician” Esfandiari, who currently resides in San Francisco, California, is a professional poker player. This is exactly why the 38-year-old Esfandiari is well-known for his crafty chip tricks. 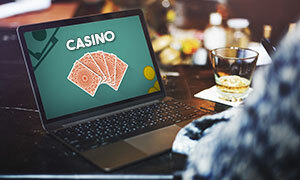 An interesting fact about the player is that he has became the face of the first legal poker website in the US, which unfortunately has been shut because of low revenue for a few years now. Esfandiari has managed to generate total winnings amounting to $27,353,449, with the staggering best live cash of $18,346,673. Apart from this, he is also two-time winner of World Poker Tour (WPT) championships and holds three World Series of Poker (WSOP) bracelets. 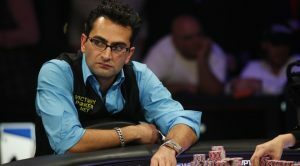 When it comes to his best live cash, the breathtaking $18,346,673 are not only the best achievement of Esfandiari, but also the most extensive cash prize in the history of poker. In 2012, the player won the $1,000,000 buy-in Big One for One Drop tournament, after which he has been ranked first in the all-time tournament poker winnings ranking, until Negreanu took him the title after finishing as a runner-up in the 2014th editionof the Big One For One Drop. As for the rest of the live tournament prizes generated by Esfandiari, he has two more cash-ins of more than a $1 million. 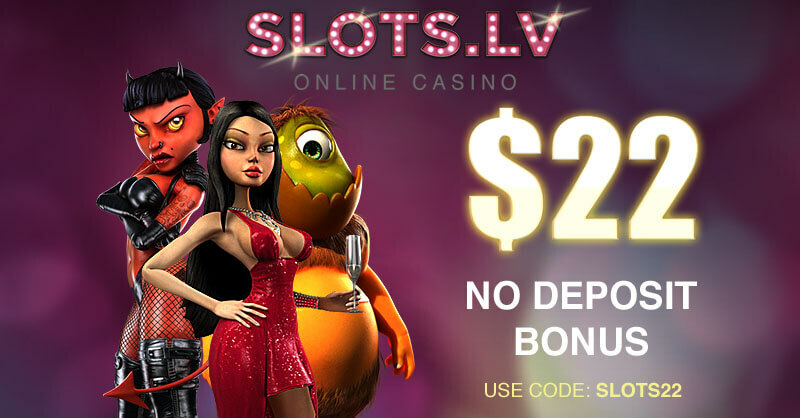 The player had his first seven-digit winning in 2004, when he ranked first in the WPT L.A. Poker Classic, generating $1,399,135. The other came in 2013 with him ranking at the fourth position of the 44th edition of the World Series of Poker (WSOP) for $1,433,438. 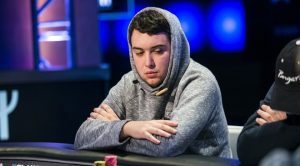 The American Daniel Colman may be only 26 years old, but he has already been ranked fourth in the Most Profitable poker players ranking. He is known for a number of massive winnings in live poker tournaments, but his greatest success to date is his first place at the 2014 edition of the World Series of Poker (WSOP) $1,000,000 buy-in Big One for One Drop event. Daniel Colman has all-time live tournament winnings estimated to $27,152,017 to date. As already mentioned above, the young player has generated his best live cash in the Big One for One Drop event of the WSOP in 2014. He managed to beat Daniel “Kid Poker” Negreanu in a heads-up battle, winning the first-place prize of $15,306,668. But that is not all for the 26-year-old Colman. He may be one of the youngest players in the ranking of the most profitable poker players, but he certainly has had some spectacular winnings up to date. 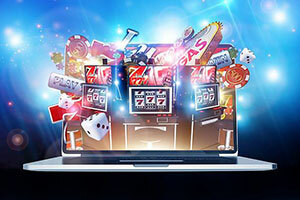 2014 seemed like a pretty successful year for him, as Colman has managed to generate four of his five seven-digit live tournament winnings in a period of just a few months. First, in April 2014, he ranked first in the EPT-10-FPS-4-Grand Final’s €100,000 NLH Super High Roller Event, taking home a prize of $2,127,398. Then, in June, the breathtaking $15,3 million winning followed. In August 2014, Colman finished as a runner-up in the EPT-11-ESPT-5-Barcelona’s Super High Roller event, winning a total of $1,118,479. But that is not all for Colman in 2014. Just a few days later, the young player won the 2014th edition of the Seminole Hard Rock Poker Open Main Event, adding another $1,446,710 on his account. In June 2015, the poker pro ranked on the third position in the 46th WSOP $111,111 NLH High Roller for One-Drop, winning $1,544,121. 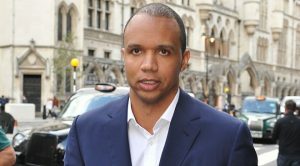 Undoubtedly one of the most popular professional poker players of all times, Phil Ivey ranks fifth, with total live earnings estimated to $23,856,034. Up to date, he has won ten WSOP bracelets, as well as one World Poker Tour (WPT) title. He has also managed to reach nine WPT final tables. 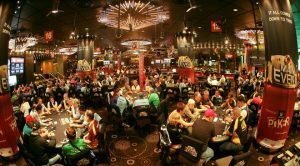 The best live cash generated by the player came in 2014, with him winning the 2014 edition of Aussie Millions’ NLH $250,000 Challenge for $3,582,753. Actually, it seems that the Aussie Millions Poker Championship has been quite a success for Ivey, who has generated a total of three seven-digit guaranteed prize pool portions in AM competitions. The other two were in 2012 in 2015. Ivey ranked first in the 2012th edition of the Aussie Millions Poker Championship, winning a total of $2,058,948. Then, three years later, in 2015, he won the then-year edition of the Poker Championship, taking home a prize of $1,710,854. Apart from that, Ivey also has another three seven-digit winnings. Back in 2005, he won the Monte Carlo Millions, getting a prize of $1,000,000. Then, in 2008, he won the WPT L.A. Poker Classic $10,000 Buy-in NLH Championship Event for $1,596,100, and in 2009, Ivey ranked seventh in the 40th edition of a WSOP event, generating a total of $1,404,014. Scott Seiver is an American professional poker player, who is most famous for winning the 2008 WSOP $5,000 NLH event. He has also reached the first position in the GPI ranking in 2015, becoming the ninth player who has managed to get there. The total live winnings of Seiver are estimated to $21,941,880, and his best live cash totals $5,160,000. So far, the American poker pro has managed to make four seven-digit winnings in his career. As mentioned above, his best live cash amounts to $5,160,000 and has been generated in 2015, when the player finished as a runner-up at the Super High Roller Bowl. In 2011, he won the WPT Ninth Annual Five Star World Poker Classic in Las Vegas, taking home a prize of $1,618,344. In 2013, he won the PCA Super High Roller Event #1, getting a total of $2,003,480. And last, but not least, in 2014, Scott Seiver ranked second in the EPT-10-FPS-4-Grand Final, taking home a total of $1,189,116. Phil Hellmuth Jr a professional poker player from the US, who is best known for his record number of World Series of Poker (WSOP) bracelets. He now takes the seventh place in the most profitable tournament poker players ranking, with his total winnings amounting to $20,979,817. To date, Hellmuth has four seven-digit winnings, with his best live cash estimated to $2,645,333. 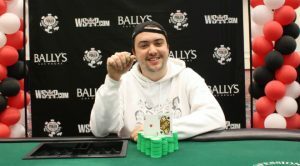 The prize was granted to him for his fourth position in the 43rd WSOP Big One for One Drop. Back in 2011, he remained on the second position of the 42nd WSOP Poker Players Championship 8 Game, generating a cash in of $1,063,034. 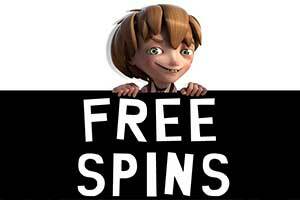 The player also won another $1,333,841 in the 2012 edition of the WSOP in Europe, Cannes’ Main Event. 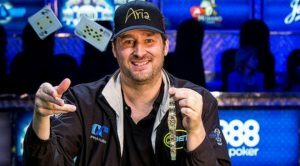 His fourth seven-digit result was generated in 2016, when Hellmuth occupied the fourth position in the Super High Roller Bowl with 888poker for $1,600,000. 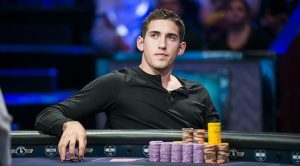 The young German, who is only 23 years old now, is undoubtedly a phenomena in the poker world to date. The German professional poker player is well known for his liking of high roller tournaments, and is often regarded as one of the best live tournament and online poker players in modern times. 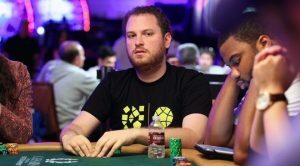 Up to date, Holz has a total of $20,840,631 in live tournament earnings, with his best live cash estimated to $4,981,775. The latter was generated in 2016, which was quite a successful year for the German. 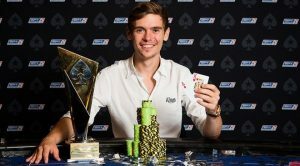 The massive live cash of nearly $5 million was generated by Holz in July last year, with him winning the 47th WSOP NLH High Roller for One Drop, and is still his best live winning up to date. Holz has four more seven-digit winnings, generated in 2015 and 2016. Back at the end of 2015, the young player won the WPT Five Diamond World Poker NOLH High Roller Event #18 and generated a guaranteed prize pool portion of $1,589,219. As mentioned earlier, Holz has managed to generate a number of seven-digit cashes in 2016, including the one estimated to $3,463,500 fr winning the 2016 World Poker Tour National (WPTN) Super High Roller Series. Then, in May, he finished as a runner-up in the Super High Roller Bowl with 888poker for $3,500,000 and in August he got $1,473,127 for winning the EPT-13-ESPT-7-Barcelona Super High Roller 8 Handed. The UK poker pro Sam Tricket, also known under the nickname Tricky, is undoubtedly best know for finishing second after losing the heads-up battle with Antonio Esfandiari in the Big One for One Drop in 2012. Trickett’s total live earnings amount to $20,591,180, with his live best cash being estimated to $10,112,001 to date. 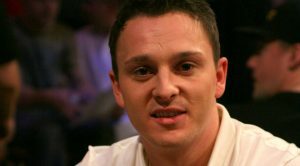 As mentioned above, the best live cash generated by Sam Trickett in his professional poker player career amounts to more than $10 million. He managed to won the breathtaking stake by finishing second in the 43th WSOP Big One for One Drop against Antonio Esfandiari. 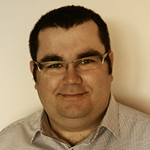 The UK poker pro has four more seven-digit results, with the first one of them generated in 2011 for his first position in the 2011 edition of Aussie Millions Poker Championship. The prize portion he took home for the champion’s title amounted to $1,508,258. Then, just a few days later, Trickett got another $1,384,631 for him finishing as a runner-up in the Super High Roller NLH event of Aussie Millions. In September 2011, he got a total of $1,364,666 for finishing first in the Partouche Poker Tour’s Main Event. And last, but not least, in 2013 he won the 2013 edition of Aussie Millions’ $250,000 Challenge for $2,111,397. The American professional poker player currently occupies the tenth position in the most profitable poker players ranking. He has generated all-time live earnings of $19,918,192 with a best live cash estimated to $7,525,000. 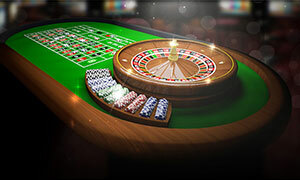 In his career as a professional poker player, he has managed to generate five seven-digit winnings. As mentioned above, his best live result amounts to $7,525,000 after him winning the Super High Roller Bowl in Las Vegas. Before that, in 2011, he won $1,720,328 in the 42nd edition of the WSOP Poker Players Championship 8 Game. In 2012, he has generated $1,621,333 at the 43th edition of the World Series of Poker Big One for One Drop, when he ranked 6th. Then, in 2013, he won the WPT Doyle Brunson Five Diamond World Poker Classic’s Main Event for $1,083,500. His last seven-digit digit cash was the $1,296,097 prize won at the 47th WSOP Poker Players Championship.